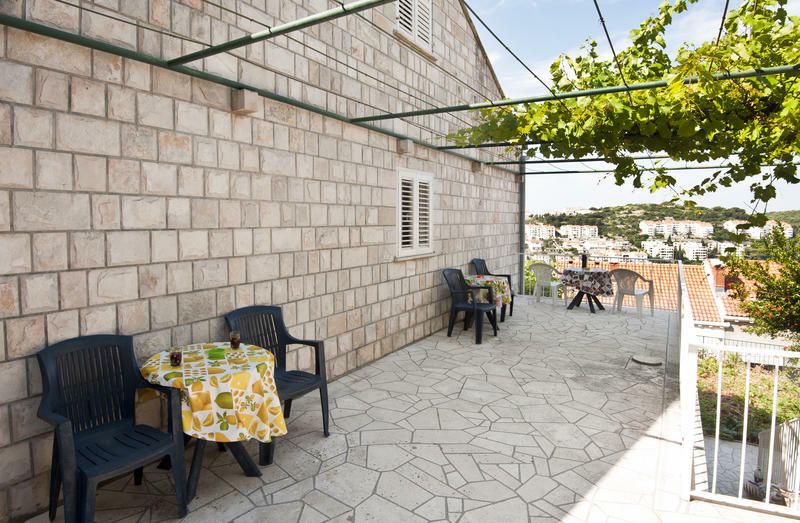 Hostel Irena Dubrovnik is absolutely unbeatable in terms of price/quality. Hostel Irena is ideal place to stay weather you come for short break, holiday, romantic escape or to explore this beautiful historic city and surrounding area. It features bright and sunny rooms with bathrooms shared between two rooms, guest kitchen and sunny terrace. Dubrovnik, Adriatic jewel, is founded in 7th century and has since then captured visitors from all around the world with its exceptional beauty. Our guests can rest on our beautiful green terrace decorated with grapevine and relax in peaceful and quiet atmosphere while enjoying breathtaking views of Port Gruz and Peninsula Lapad. 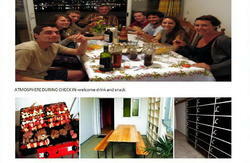 Hostel Irena offers modern accommodation with clean, comfortable, private facilities in a quiet, yet convenient location. Old City can be reached by 15-20 min pleasant walk, Port 10 minutes and Bus Terminal 15 min of walking. A Bank, Post Office, Supermarket and other services you might need can be reached by foot. If you prefer, you can take the Bus and reach any part of area in just a few minutes. All our guests will be offered FREE luggage accommodation if you arrive earlier or if you depart from Dubrovnik late at night. Wi-Fi is available FREE of charge and parking place on request. Our guests would be picked up from the Ferry Port and from the Main Bus Terminal FREE of charge. The price of transportation from the Airport (25 km) to the Guesthouse is 200kuna. Please, do not hesitate to contact us by e-mail or by phone. During your stay in Dubrovnik we recommend that you pay a visit to Dubrovnik City Walls, The Island Lokrum, The Island Lopud, Trsteno and Arboretum, Ston and Ston Walls, City of Korcula as well as National Park Mljet on the Island of Mljet. Our warm hospitality will make your stay enjoyable and memorable. NEW: All rooms have fans. From the Main Bus Station and Pile Gate: Catch a public bus number 8 and get off at the bus stop called Carrington Building. Just 50m (metres) forward from your left side there is the Street Franca Preserna. Follow up that Street and on the top there is Dubrovnik Rooms with address Od Gaja 36. If arriving on foot follow the road called Andrija Hebrang and after 20 minutes walking towards Old Town from your left side there is the Street Franca Preserna. 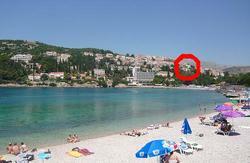 Follow up that Street and on the top youll find Dubrovnik Rooms with address Od Gaja 36.